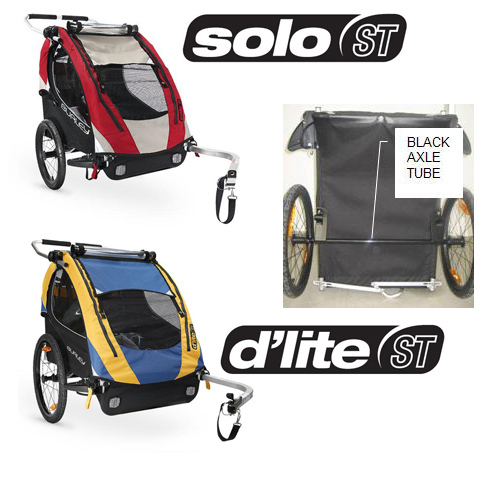 The U.S. Consumer Product Safety Commission, in cooperation with Burley Design LLC, today announced a voluntary recall of about 2,700 d’lite ST and Solo ST child trailers. The axle assembly’s internal sleeve can loosen, causing one wheel to separate from the trailer. This poses a risk of injury to the child occupant or bike rider. Consumers should stop using the trailer immediately and contact Burley to receive a free repair kit or to locate a retailer to assist with the free repair. For additional information, contact Burley at (800) 311-5294 between 8 a.m. and 5 p.m. PT Monday through Friday or visit the firm’s Web site at www.burley.com/STProductRecall.